Our office has been an authorised supplier of Australia Post products since 1988, specialising in Postage Meters (Franking Machines) we have been working with sending bulk mail for over 20 years, with experience in Folding and Inserting equipment, Envelope Printers and mail fulfilment services we are able to offer a fast and competitive service specially targeted to small volumes of mail. Our aim with Direct Mail Services is to offer our customers an efficient way of utilising all Australia Post’s services and to assist them with all aspects of ‘Direct Mail Marketing’, we can supply everything from a basic mailing list, to printing, folding, inserting, franking and lodging service that will completely cater your next mail-out. 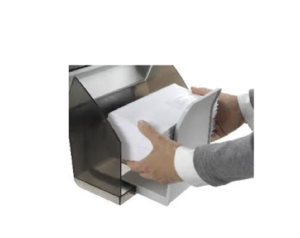 As with all Folding and Inserting Machines, only Gummed (Lick-n-Stick) envelopes can be used, we supply a range of envelopes which are specifically designed to use with Folding Inserting machines, all at great prices. 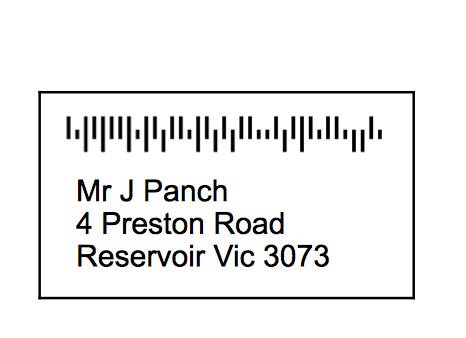 We can attach Postal Bar-codes to your mailing lists, maximising the Australia Post discounts. 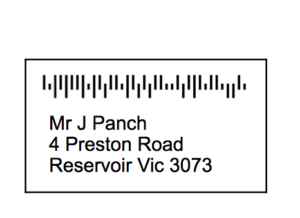 We can merge, clean, de-duplicate and sort mailing lists in a variety of ways eliminating ‘Returned mail’ which is usually labelled ‘Incorrect Address’ ‘Cannot find address’ etc….